Hello Cheapo Die Fans!! 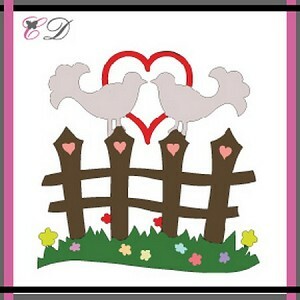 Lori here today with this card I made with the Exclusive Cheapo Dies Lovely Fence die. For my A2 card I started by making the base of the card with Neenah Desert Storm paper. I took some blue marble paper, inked the edges with Faded Jeans distress ink and attached that to the card. I took a piece of Neenah Solar White paper and the Exclusive Cheapo Dies Lovely Fence die and cut out the fence. I used Copic markers to color the fence, birds, grass and flowers and then I added that to the card. I took some black ink and the sentiment and stamped that onto the card over the birds. Quick and fun to make!! Be sure to stop back to the blog often for more inspiration on using these wonderful dies!! 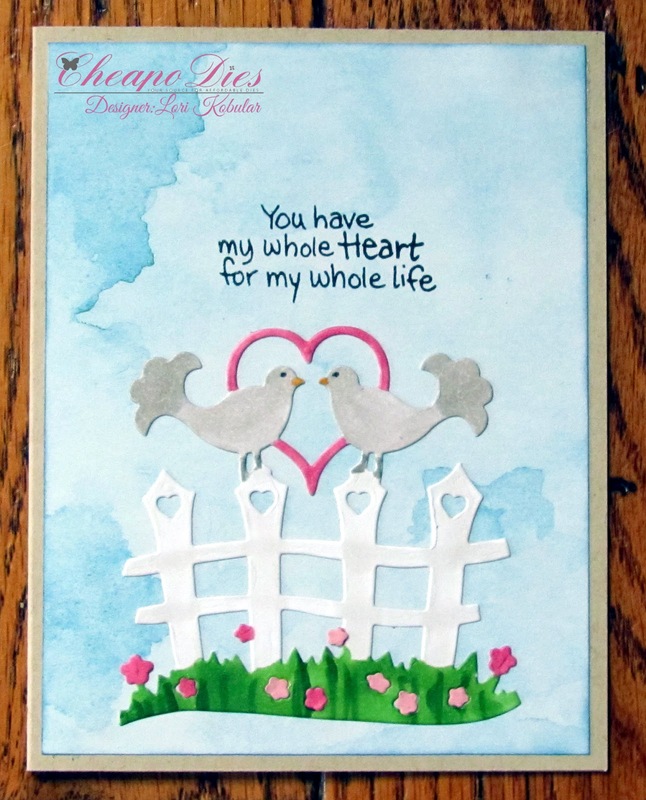 Beautifully created Lori, just by coloring you have added so much pretty detail and perfect sentiment too! !